We buy houses in Harrisburg, PA and around Pa. Let us make a fair all-cash offer on your house. Need To Sell Your Harrisburg, PA House Fast? We Buy Houses Anywhere In Harrisburg, PA And Within This Area, And At Any Price. Check Out How Our Process Works. We’re Ready To Give You A Fair Offer For Your House. If you want to sell your Harrisburg, PA house… we’re ready to give you a fair all-cash offer. Let us buy your Pa house now, regardless of condition, and stop the frustration of dealing with an unwanted property. We can help you Avoid foreclosure. , and any other situation you may be facing such as Divorce? Moving? No Equity in your mortgage? Tax Liens? It doesn’t matter if you are living in it, vacant, or you inherited the property and you are out of state, even if it needs a lot repairs. Just because you maybe behind on payments, or found out your job relocated you and you need to sell your house fast, we can help. Trust me, we have seen it all. Basically, if you have a house and want to sell it fast… we’d like to make you a fair cash offer and close on it when you’re ready to sell. Need To Sell Your House in Harrisburg, PA? Don’t worry if you can’t sell your house with a Realtor, we can still help you out. What you have to realize is that if the property is in need of a lot of repairs, the bank will not finance a mortgage, because the house will not pass a home inspection. This generally leads to the homeowner having to do the work themselves in order for the agent to list the property. This can be a hassle and very time consuming process. Not to mention you will have to pay them fees in order to sell, plus it could sit on the market for long period of time. Even if you do find a buyer, and accept an offer it is contingent upon the buyer obtaining a mortgage, and generally a long list of contingencies and inspections. With our process you will know very quickly if we can help, and close on your house quickly. We help property owners just like you all the time, in all kinds of situations. From divorce, foreclosure, death of a family member, burdensome rental property, and all kinds of other situations. We buy houses in Harrisburg, PA and surrounding areas and pay a fair cash price, fast. Sometimes, those who own property simply have lives that are too busy to take the time to do all of things that typically need to be done to prepare a house to sell on the market… if that describes you, just let us know about the property you’d like to be rid of and sell your house fast for cash. How Much Will Listing Your House Really Cost in Harrisburg, PA? How Much Does Holding A Property Cost in Harrisburg, PA? Is Hiring An Agent in Harrisburg, PA REALLY Worth It? 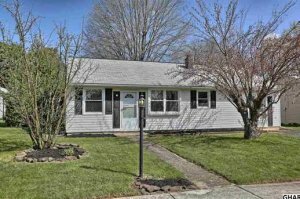 How To Sell Your House in Harrisburg, PA Without ANY Hassle! How to Determine If A Direct Sale of Your Harrisburg, PA House is Right For You!